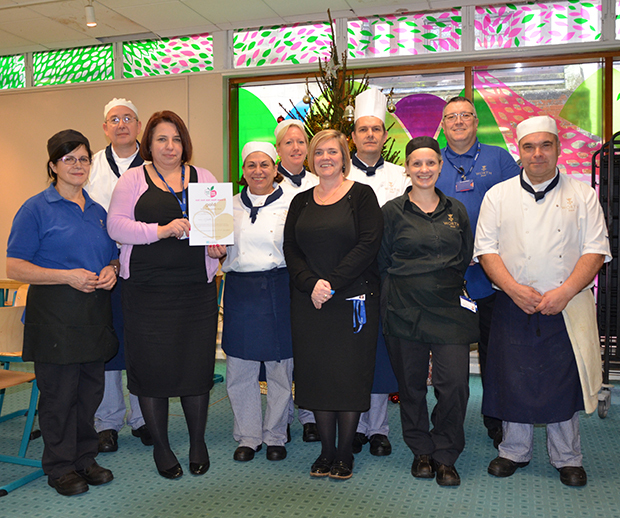 Worth’s Catering department has collected a Gold Award for healthy eating. The School has won the ‘Eat Out Eat Well’ Gold Award from Sussex Partnership Trust for the nutritional standard of food served on a daily basis. Entrants need to already have five stars as a catering establishment to be considered for these awards. Two years ago the School was proud to win a Silver Award in this biennial scheme. To now win a Gold Award reflects the continuing high standards our Catering department sets itself throughout the year. The ‘Eat Out Eat Well’ award scheme was developed to reward caterers who make it easier for diners to make healthier eating choices. A scoring system takes into account the type of food on offer, cooking methods and how healthy options are promoted. Worth’s catering team serves up tasty dishes for the students, staff and monastic community every day, as well as delivering speciality catering for the numerous social events in the calendar.